The school is currently updating its admissions criteria for 2019-2020. This consultation period ends on 8th January 2018. If you have any comments, please submit them via the Birmingham City Council Be Heard consultation site at: https://www.birminghambeheard.org.uk/people-1/proposed-admissions-arrangements-2019/ or contact School Admissions on 0121 303 1888. We have received this special letter of thanks in recognition of the funds we raised to support the Fireside Centre during the Autumn Term. We are very proud of our efforts and are delighted to have been able to support such a worthy cause. 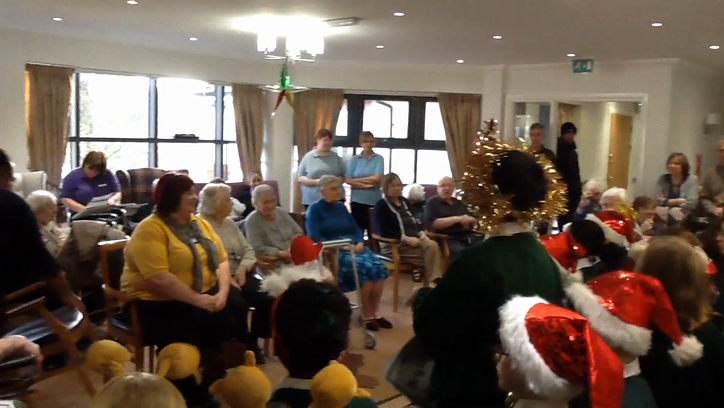 On Monday 5th December some children from St Brigid’s choir went to Frankley Beeches Care Home to sing Christmas carols. They were an absolute credit to our school – well done children! Thank you to all those who attended the PGL Liddington meeting last night. We hope you found the information useful. Please find a copy of the Powerpoint Presentation used in the meeting for your reference.